For many years, Secure Data Recovery Services has provided Glen Allen with a fast, secure way to recover from data loss. Data loss is a serious problem in the Virginia, and each year, media failures result in significant losses for local businesses. Hard drive recovery, mobile device recovery, RAID arrays, tape backups, and other data loss situations is what Secure Data Recovery Services deals with on the daily basis. Regardless of your media type or the cause of data loss, our Glen Allen location offers a range of services to quickly recover your files. See some of our featured data recovery services below. Every day of the year, every hour, our local data recovery services in Glen Allen are there because data loss never picks a convenient time to occur. Using our emergency recovery service, you can expect your data returned in 48 hours on average. Further media damage or permanent loss often results from attempting recovery yourself or hiring less-qualified data recovery specialists. Our first step is always a non-destructive evaluation of your media’s condition plus a detailed list of recoverable data. The several recovery solutions we offer to you come with clear, accurate time and cost quotes so you make the best decision on how to proceed for your situation. Subsequent work is guaranteed by our No-Recovery/No-Cost promise. 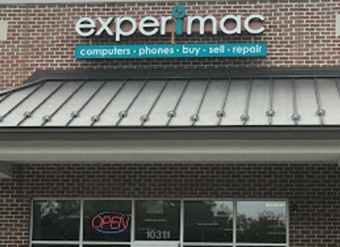 Since Secure Data Recovery Services’ inception, we have made continuous investments in our facilities, technology and people to bring to market the best data restoration service in the U.S.
For example, we were first in the industry to install certified Class 10 ISO 4 Cleanrooms and we employ highly qualified Certified Mac Technicians and hold major hardware manufacturers and vendors approvals. We service all types of digital equipment and media including hard drives, hybrid drives, RAID arrays, laptops, tablets, smartphones, flash memory and drives, digital tape and much more. Our company holds SOC 1® and SOC 2® Under the Guidance of SSAE 18 and EU-US Privacy Shield certifications and complies with PCI-DSS. Our facilities are under 24-hour video surveillance, we only transmit data over 256-bit encrypted networks and employ rigorous facility access controls. Our business and financial operations are routinely reviewed and verified. Naturally, our company furnishes customers with additional professional data services including forensics services, e-discovery, expert testimony, media conversion and data migration. To learn more about local data recovery services in Glen Allen and start your free media evaluation, call our professional customer service team now at 1-800-388-1266, 24/7/365 for assistance. When my fairly new HP Laptop hard-disk crashed, I was in a very panic mode. First I contacted HP and they denied recovering the data from the hard disk. They will replace my hard disk because it is under warranty, however, will not recover the data. I took the laptop places after places trying to desperately recover the numerous photos (my vacation with my sons to Italy, India etc) and other valuable documents, all attempts became futile until this google search found Secured Data Recovery. Rob Anderson came to the phone and created a case and he handled the situation very professionally and accurately. After few days since I mailed the hard disk, he sent me a comprehensive list of (meta data) of files that can be recovered and the corrupted data. There is NO important files in the corrupt data list which made me extremely happy. He is the person to contact if you need to recover any data from any corrupt hard disk. Thank you Rob for a very good job. My son dropped his external hard drive on to concrete and damaged it. My computer guy reached out to Rob Anderson and he knew this was the company to take care of getting the data from the corrupted one and on to a new external. My son does music videos and many of them were on the corrupted hard drive. One musician had rented a house on Long Island and a Bentley so it was crucial we get the data. They were so good about communicating with us, got the data and sent us the saved data!! I don't know what we would have done had we not used Secure Data Recovery and Rob Anderson! !